Savor a unique and pleasant flavor, with just the right blend of ginger and garlic, in soups, sauces or while roasting or grilling meats. 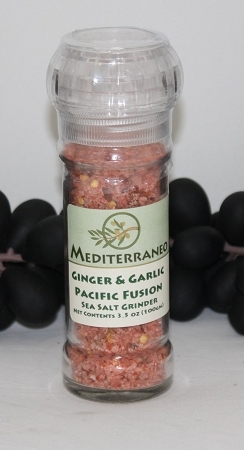 This infused sea salt is the traditional and authentic seasoning for many Asian dishes. Packed in a convenient refillable grinder.